Attention Fresno! We’re Hosting a Fire Service Seminar on April 7th. Come Join Us! Attention Fresno! We're Hosting a Fire Service Seminar on April 7th. Come Join Us! Increase and refresh your knowledge on all aspects of Outdoor Public Display Fireworks in conjunction with the State Fire Marshal’s Office. 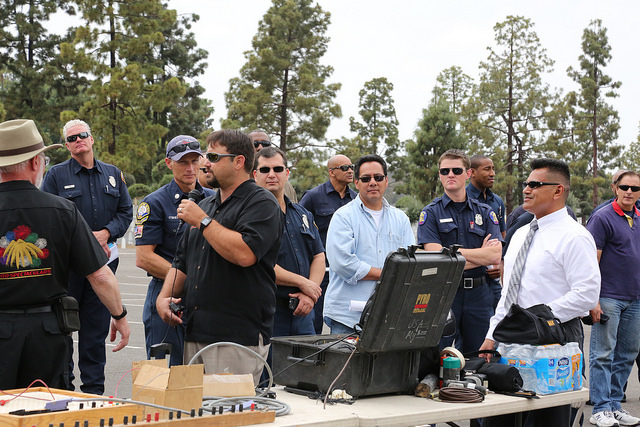 Get your inspectors up to date on the regulations pertaining to the permit and inspection of outdoor aerial fireworks. Pyro Spectaculars will be assisting Ramiro Rodriguez, from the State Fire Marshal’s Office, with the latest updates. There will be classroom instruction as well as outdoor site inspection training, which will include a product demonstration. All attendees will be on their own for lunch. Previous PostThe 2017 Pyro North Seminar is Here!